Join our Easter Marathon – no trading restrictions – something for everyone. Our resident House DJ’s playing all night.. go for it! 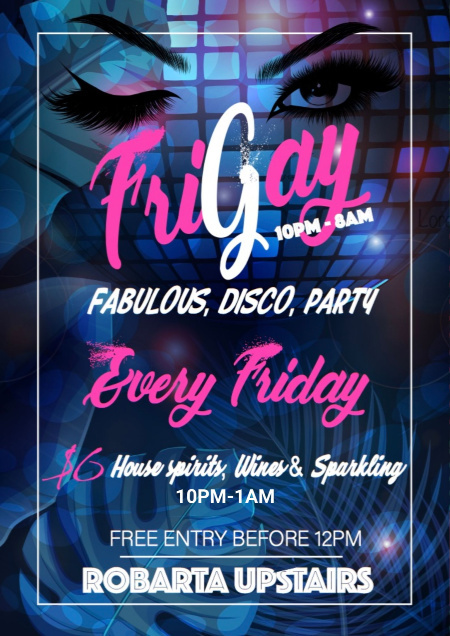 Join our Drag Bunnies & friends to celebrate Good FryGAY – The Easter Edition .. some of Melbourne s best Drag Shows, great DJs’ playing chart toppers and anthems. Super drink specials. Heaps of fun and everyone is welcome! 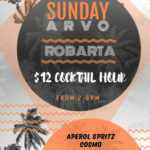 Enjoy a fabulous cocktail or three – we have some great drink specials for you to enjoy – who doesn’t enjoy an Espresso and Our White Chocolate & Passionfruit Martini is pretty specials. For you late-night pp The Late House w DJ’s Andy Guy & Mark Rose. Arrive B4 1am and don’t pay admission. At robarta you don’t pay more for a quality experience. No matter how large or small your occasion or what your budget is our team will work with you to to ensure you have a fabulous celebration. We believe that every celebration is special .. its easy to get the big things right but its the little things that make the difference and we aim to take the stress away so you can relax and enjoy. If you have not thought of it we will have! We know what makes a good event and we can share this with you. 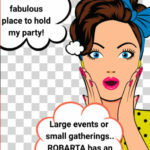 So if you are looking for a Function Venue in Melbourne, robarta located in St Kilda is the perfect choice. We offer attractive options for intimate gathering or larger functions of up to 300 guests. 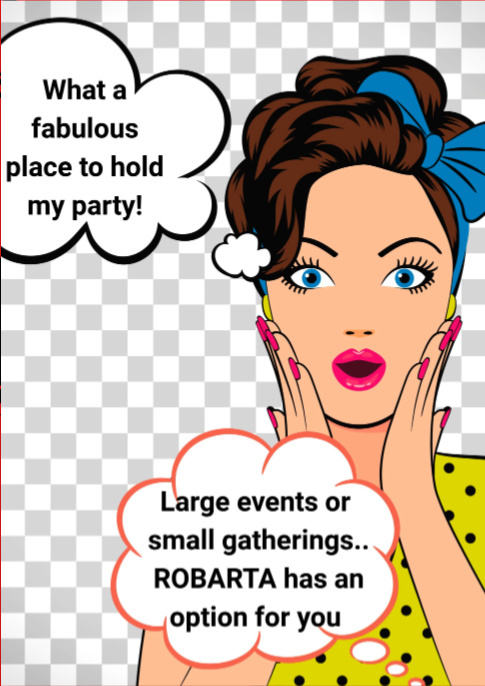 So if you are organizing a going-away party, a birthday celebration, an engagement party, Christmas celebration, Product Launch or a Corporate Event … we have it covered. We offer State of the Art Audio/Visual facilities, delicious Finger Food (including a substantial selection of vegan and gluten free options). Our beverages including house pours and cocktails will impress and importantly our staff are experienced & professional. We have a 24 hr licence so can accommodate functions 7 days a week/24hr. Call or email us and arrange a time to view the venue. 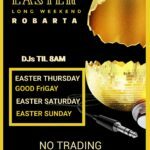 robarta is one of St Kilda go to places for great food, drink and good times. Our DOWNstairs Bar & Kitchen has just been renovated and we have created the lounge room you always wanted. Full of very different and intimate spaces which allows you to select the space which suits your occasion or fancy. You can select from a traditional dinning set-up, lounge seating, bar tables, communal table for 12 guests or private room for 10. Perfect spots for enjoying a drink with friends a bite to eat, a cocktail or three. 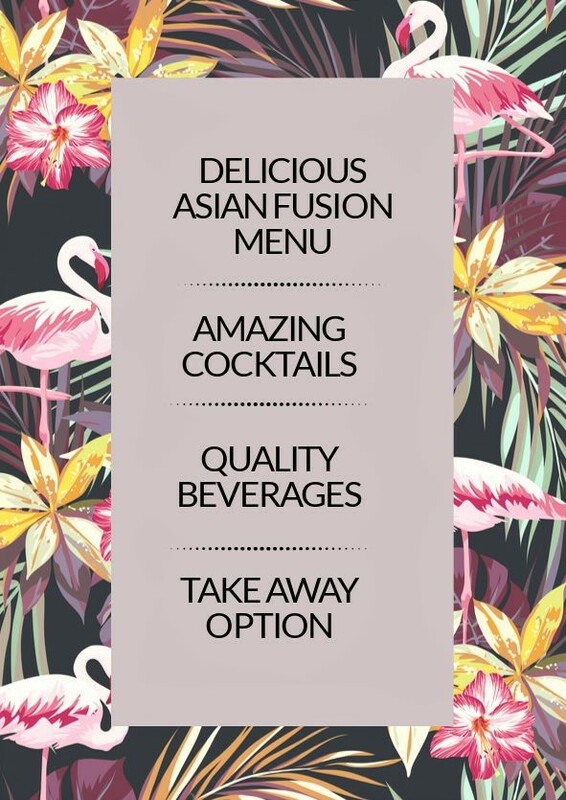 Our amazing team have put together a fantastic Pan-Asian menu which we guarantee will impress. Fantastic for sharing or not. The menu offers ample vegetarian and gluten free options. Watch this space as we are increasing our vegan options. Our food offer is well priced but not short on quality and presentation. Now there are specials and there are SPECIALS. We have daily specials to tempt you and because our House Pours are so good you get value for your money. 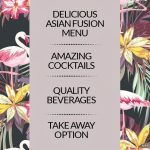 Delivery and Take Away options now available. 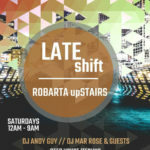 UPstairs ROBARTA opens 12am Fri-Sun – continue the party. $55 ph – Cocktail Experience – drink your favorites or be tempted by something new. Get off the net, eyes off the phone .. we have the perfect night for you! 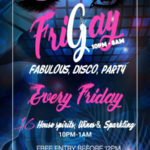 If you loved Hey Gorgeous Mondays you’ll be in for a treat with our new night Fri-GAY! Rolled in glitter with a fresh new touch, its safe, its fabulous & it’s yours. 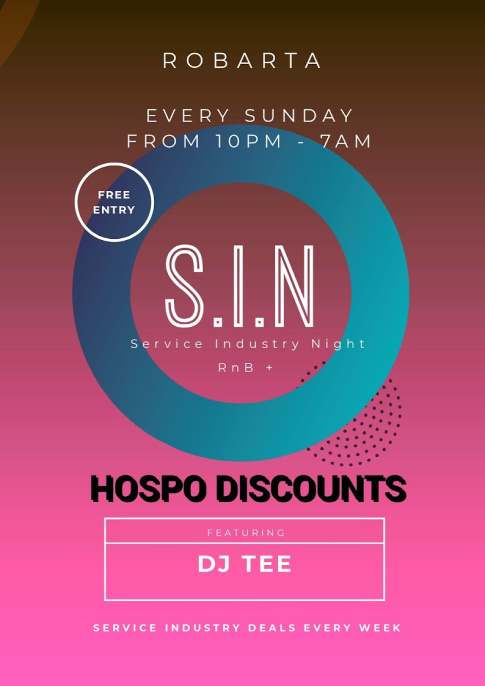 Ryan Nokes & Louis Hannis (straight or not so straight .. from the UK scene) will host the night & bring to you some of Melbourne’s best entertainment including shows and DJ’s playing chart stoppers/disco classics/house re-mix/gay anthems and late night beats. 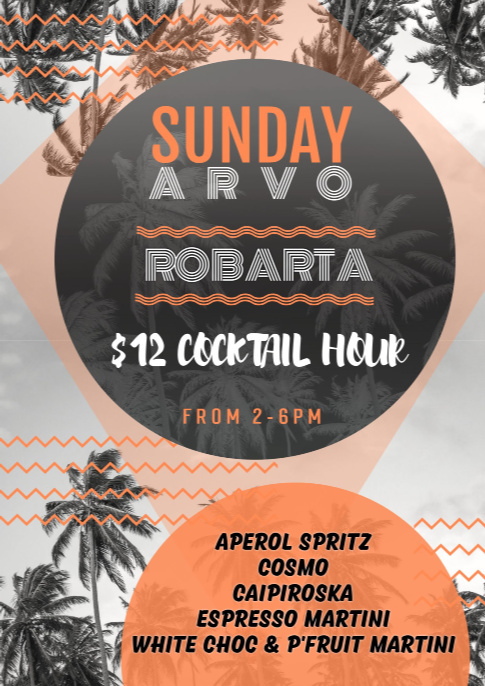 This is for all you cocktail lovers – grab a spot in the sun and enjoy our Sunday afternoon cocktail deal … something for everyone. 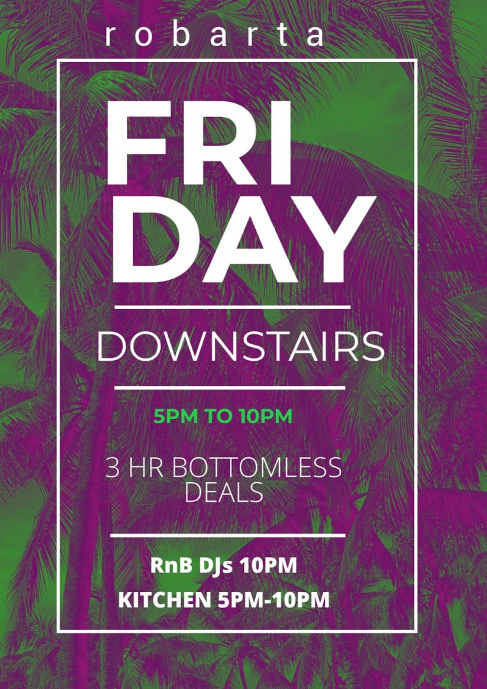 Not ready to go home or just starting your night – UPstairs robarta is for you. Saturday Night is all House & our resident DJs know ‘House’. 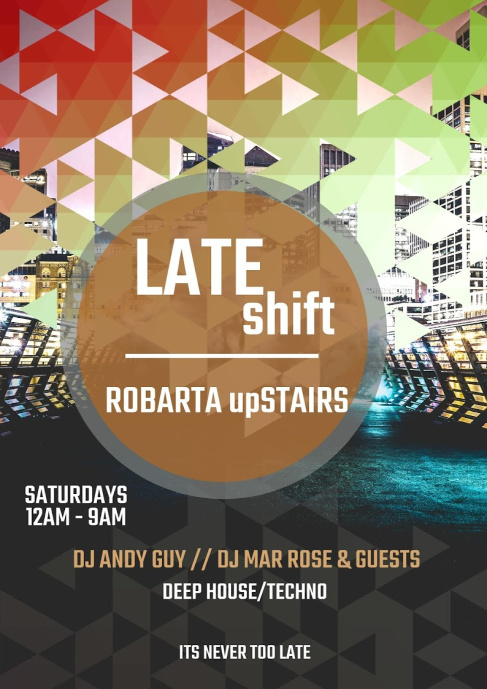 DJ Andy Guy & Mark Rose are two of Melbourne’s best House DJs – they are joined by weekly guests. 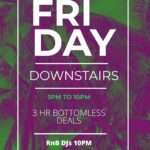 UPstairs is the perfect boutique ‘nightclub’ – plenty of seating, great music, good crowd & a great range of beverages including premiums. Arrive B4 1am and receive a complimentary drink. Celebrating your birthday .. let us know and you can have two free entries and a drink on us .. just arrive B4 1am. 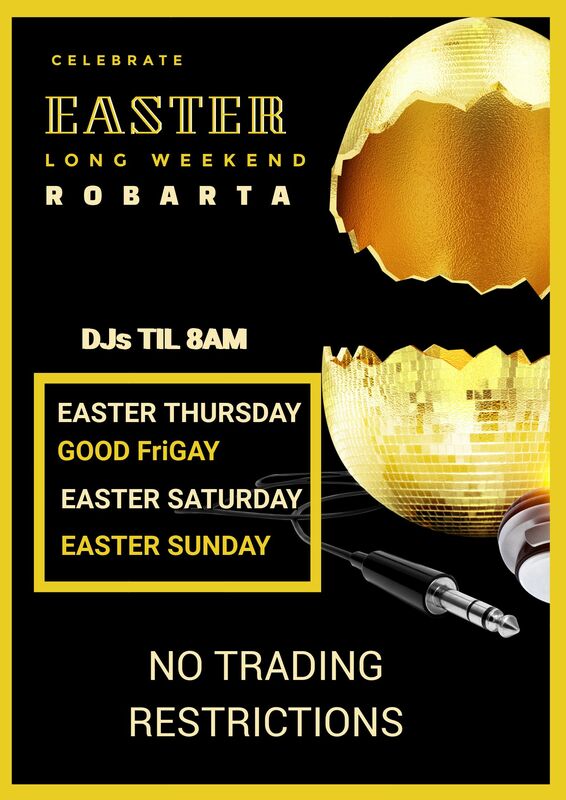 For a Sunday Club experience, robarta is open every Sunday from 12am to 7am. A perfect spot for hospitality crew and other Service Industry workers who finally get to have a night off. 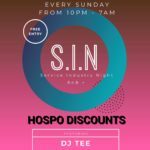 Make S.I.N your night – industry discount and great specials every week.